It’s headquartered just 40 miles from the home of the Tournament of Roses, but Princess Cruises has never entered a float in the famous Rose Parade — until now. The Love Boat line will celebrate its 50th anniversary with its first-ever float in the Rose Parade on Jan. 1 in Pasadena, Calif. 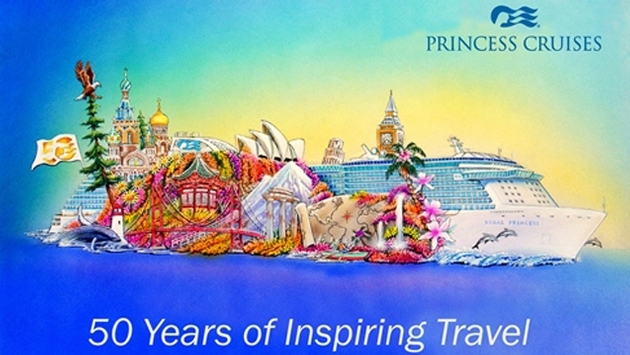 The float will depict the line’s newest ship, Regal Princess, sailing through the world’s iconic destinations and landmarks. What’s more, six original cast members of “The Love Boat” television show — which introduced cruise vacations to the U.S. population and made Princess Cruises an instantly recognizable name — will ride on the float down the 5½-mile parade route. The TV show originally aired from 1977 to 1986 and is still seen in syndication on many networks. 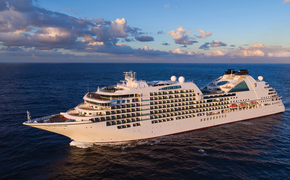 The actors, who are first scheduled to christen the Regal Princess Nov. 5 in Fort Lauderdale, are Gavin MacLeod (Captain Stubing), Fred Grandy (chief purser Gopher), Ted Lange (bartender Isaac), Bernie Kopell (Doc), Lauren Tewes (cruise director Julie) and Jill Whelan (Captain’s daughter Vicki). The Rose Parade is viewed by some 700,000 spectators lining the parade route and by approximately 80 million viewers on television around the globe. The Princess float, being designed and built by Phoenix Decorating Company, will be 60 feet long and 24 feet high, and will be covered by more than 24,000 thousand flowers and natural materials. The Pasadena Tournament of Roses is a volunteer organization that annually hosts the Rose Parade, the Rose Bowl Game and a variety of associated events. The 126th Rose Parade presented by Honda and themed “Inspiring Stories,” will take place Jan. 1, followed by the College Football Playoff Semifinal at the Rose Bowl Game presented by Northwestern Mutual.